Officer Sacco discusses a confrontation the host had with some security guards, photographer’s rights, and other urbex considerations. Are you new to urbex or a seasoned pro? I want to interview you! 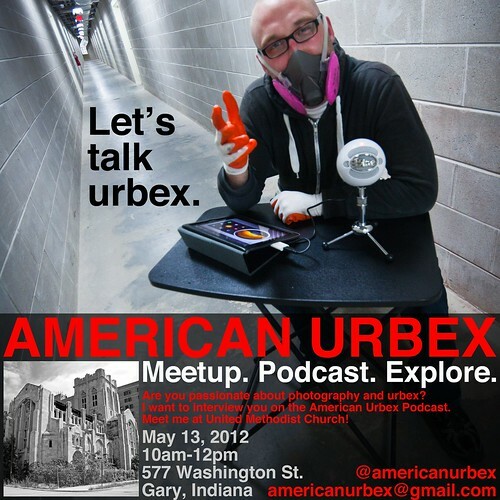 Come talk urbex on May 13, 2012 from 10am to 12pm. Meet up at City United Methodist Church in Gary, Indiana. Let American Urbex know if you definitely want to be interviewed by visiting the Facebook event page. Take a moment to donate to American Urbex: Southern Slide.